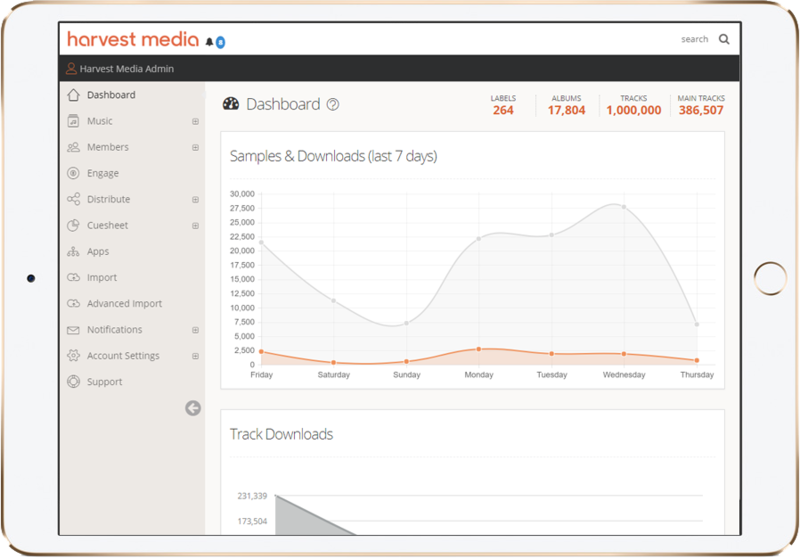 Harvest Media has been designed to provide you efficient and accurate data you can reuse across your business. We’ve invested in the essential integrations your business needs to simplify your end-to-end workflows. Take the next step toward a true content workflow. Perfectly mapped data and audio delivered in the format your user wants. Whether you need custom audio headers, XML, or text files, we’ve got your integration and delivery covered. Connect with Tunesat, Adrev, Youtube, Source Audio, and Shazam in a matter of clicks. Connect with Fuga, Shazam, Protunes, Netmix, I Like Music and Filmtrack – using tools they helped us build.  We worked with aggregators and DSPs to understand how they want to receive your content and data. So you can be sure Harvest Media will send your audio and metadata in the right format. And using our tools, it’s easy to verify your data is up-to-date after you’ve sent it. reduce content re-handling in their production department. Need to get into a network that is using a proprietary or third party system? No problem. We have integrations with I Like Music, Filmtrack, Netmix, Source Audio, Soundmouse, and Protunes. Reach your endpoint with accurate, consistent data that’s ready to go. networks looking for accurate data from one unified, consistent source. We are actively building a network of relationships to improve your business workflow. The data you maintain on Harvest Media is the high quality data you need to register your works locally or internationally with your chosen PRO. Publishers looking for a straight forward registration process. Delivering work information and receiving WorkIDs. Creating a single online workflow for your content. Providing rich experiences to your end users. Want to acquire content straight into your own workflow or system? 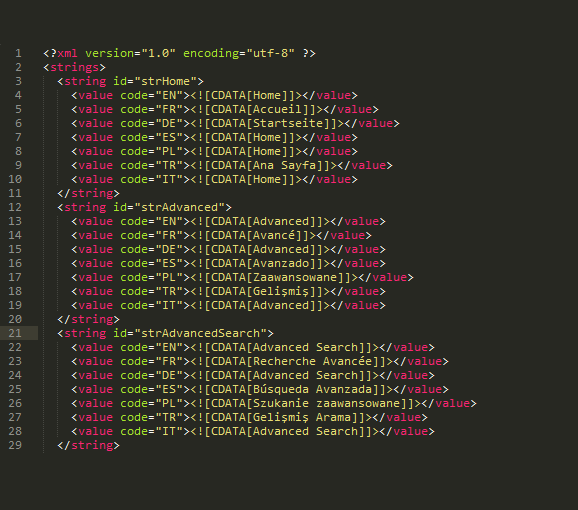 Our Lite API can identify and deliver content to you on demand. Whether you need a single account or many – our robust format is consistent across every account. Your developers can build workflows that integrate a single, uniform, and accurate source of data. publishers wanting to share to an FTP location.